Massachusetts is considering legalizing several forms of online gaming based on an account from the head of the state’s gaming regulator. Currently only online fantasy sports betting is allowed within the state. Stephen Crosby, Chair of the Massachusetts Gaming Commission has stated in a recent interview that a legislative committee is evaluating whether other forms of online gaming can be made legal in the state. According to him, the three major casino operators licensed to operate land-based casinos in the state – MGM Resorts, Wynn Resorts and Penn National are all in support of the idea. The three casino operators have also made it clear to the Commission that they have no interest in offering daily fantasy sports products as a part of their online gambling services. MGM Springfield and Wynn Boston Harbor are the two under-construction casinos in the state, while Penn National Gaming runs the state’s sole slots parlor in Plainville. Crosby said that it was likely that a proposal may reach the legislature by the middle of the year. The Massachusetts Gaming Commission is expected to give its opinion in an official report later this week. Seth Stratton, Vice President and General Counsel for MGM Springfield observed that the Commission should look at allowing only existing land based gambling operators the opportunity to provide online gaming services. According to Stratton, this is an ideal solution since the operators have already passed through a rigorous vetting process and would be able to successfully handle online operations. The executive also added that MGM doesn’t consider online gambling to be competition since it is seen to be complementary to the brick-and- mortar casino operations. 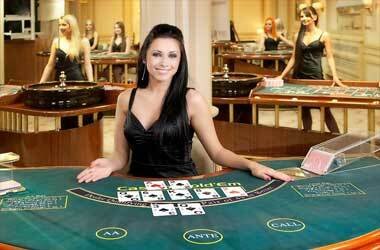 MGM is currently offering online gaming services in the states of Nevada and New Jersey. As per Deborah Goldberg, the Massachusetts State Treasurer, online lottery legislation would enable the state to modernize its systems while offering a forward-thinking product to the millennials, a customer segment which is seen to be notoriously difficult to attract to gaming. Goldberg pointed out that lottery revenue would see a boost if mobile and PC-based lottery games are allowed in the state. Despite the legislative progress being made, it is highly unlikely that any measure will be approved before the end of 2017.